Take a close look at any tire sidewall and you’ll find an overload of information. Most of it is common to all tires, and it might not be immediately clear how you’d be able to differentiate one type of tire from the next. But if you know what to look for, off-road tires have some unique sidewall indicators that identify them as legitimate and heavy duty, durable performers. Off-road tire sizes are routinely expressed in the common format, e.g. 235/75R15. In this example, 235 = section width (in millimeters), 75 = aspect ratio (tire height/sidewall profile expressed as a % of tire width), 15 = wheel diameter (in inches). 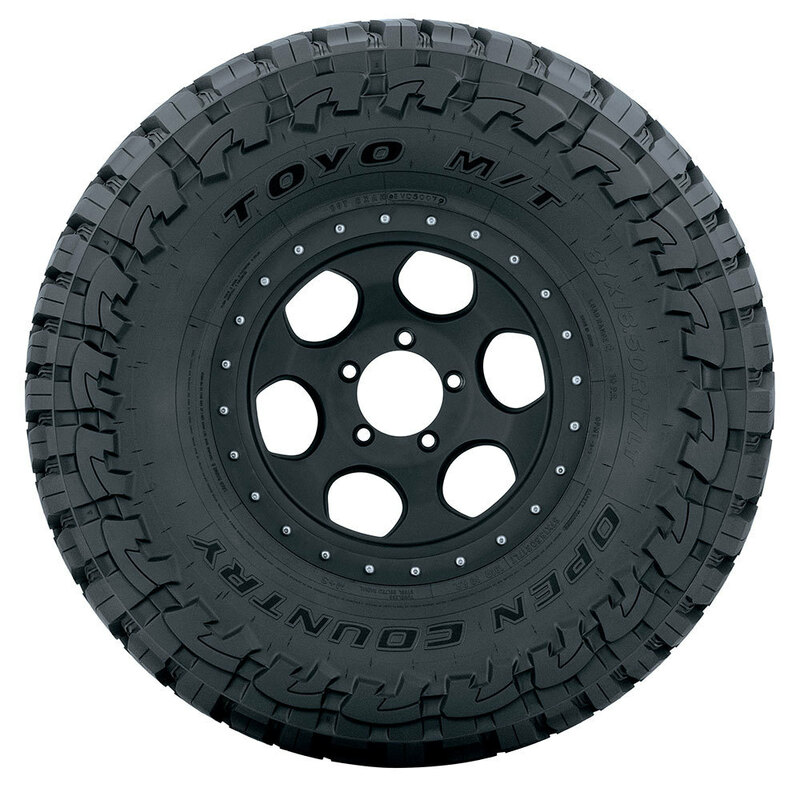 However, unlike standard road tires, off-road tires are often designated as “LT,” which stands for Light Truck. The “LT” specification can be expressed as a prefix to the tire size, or a suffix. The LT specification is an indication of heavier load capacity, and stronger, more durable tire construction attributes. You can dive deeper into how to read the numbers on the side of your tires. 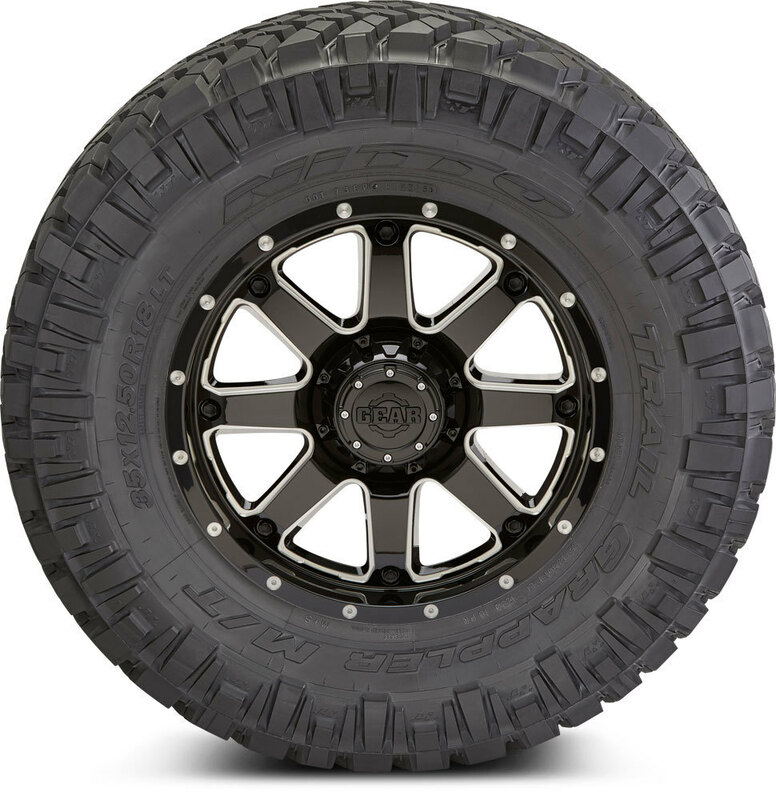 Flotation tire sizes are unique to off-road tires and range in size from 31-44". Rather than the millimeter-based tire size expression detailed above, flotation tires are expressed in inches, however metric equivalents may be available. For example, LT325/65R18 (in inches) is also 35X13.00R18 (in millimeters). In this example, the tire diameter is 37", tire width is 12.5", R stands for Radial Construction, and 17 refers to the matching wheel diameter. 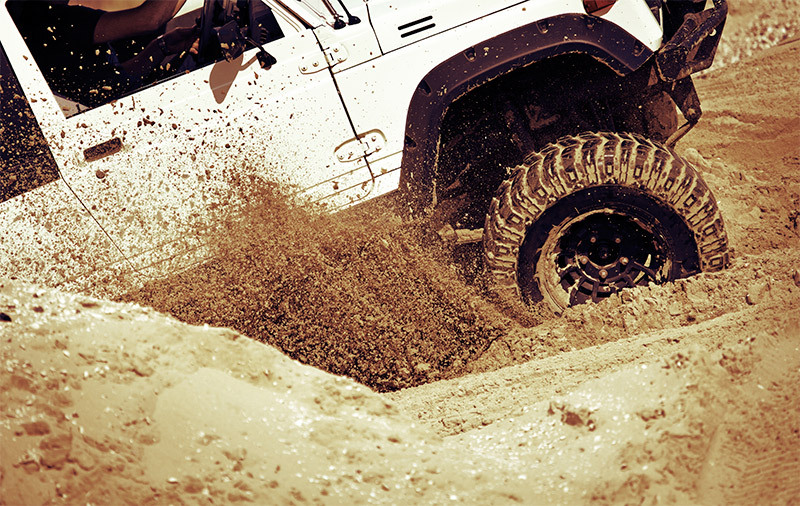 Flotation tires are off-road specialists. They are specifically designed to “float” over sandy surfaces and loose sediments. Hand in hand with a more durable construction suitable for off-road purposes is a higher load range, or ply rating. 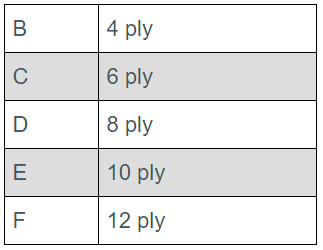 Modern Load Ranges correspond to the Ply Ratings of old. Load Range is expressed as a letter, with letters further down the alphabetic order corresponding to increased strength. While there are exceptions, most off-road tires fall in the D-F load range. 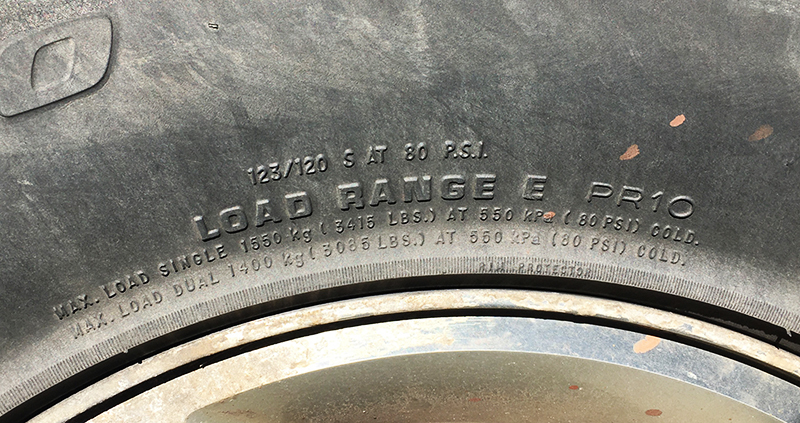 Load range can usually be found in proximity to the tire size information, or sometimes elsewhere on the tire sidewall. For more info, see What is a tire Ply Rating? While not a rating unique to off-road tires, they’re all M+S (Mud+Snow) rated. This means their performance in mud and snow conditions exceeds the minimum traction criteria set by the Rubber Manufacturer's Association (RMA). The powerful, prominent tread blocks of off-road tires often quite literally come over the tire sidewall. The sidewall lugs/tread of off-road tires contribute additional biting edges to laterally grab onto terrain. The extension of the tread pattern onto the sidewall is a unique characteristic of off-road tires. So if you're looking around the tire sidewall information and sidewall tread is intimidatingly staring back at you, you're most likely looking at a legitimate off-road performer! Give us a call at 866-961-8668 to discuss off-road tire options or shop all our off-road tires now. What’s best for your truck – all-season, all-terrain, or mud terrain tires? If you’re not sure, we can help.